As I do more game play videos for board games this list will server to consolidate them in one spot. More and more videos for your favorite, and new or upcoming board games will be posted here! The video list of my Toxic City Mall Play through. Video Play through of Dead Panic. 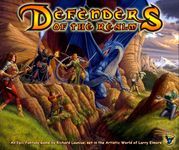 Unboxing and playing through 12 Realms. 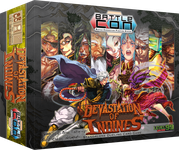 Unboxing and play through of BattleCON: Devastation of Indines. Here is my Darkest Night Playlist. This was a long one! 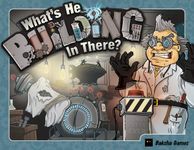 My short play preview of What's He Building in there? Here is my play list of the Freedom The Underground Railroad play through. 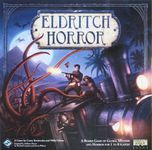 My first play through of Eldritch Horror. Be warned, this got botched badly and I did not complete the play through but you can learn how NOT to play this game. Here is my full playlist of episodes for Sentinels of the Multiverse where we explore the Sentinels sidekick app for the ipad as a tool. My Quick Play Playlist currently featuring Origin and Upon A Fable. 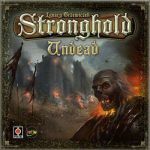 My complete playlist of our learning sessions with Stronghold's Undead expansion. My playlist of play test and learn sessions of Myth. Lots of discussion on this one.